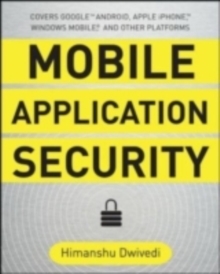 Secure today's mobile devices and applicationsImplement a systematic approach to security in your mobile application development with help from this practical guide. 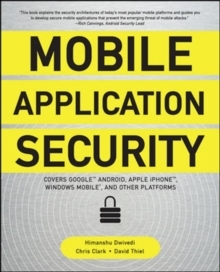 Featuring case studies, code examples, and best practices, Mobile Application Security details how to protect against vulnerabilities in the latest smartphone and PDA platforms. Maximize isolation, lockdown internal and removable storage, work with sandboxing and signing, and encrypt sensitive user information. 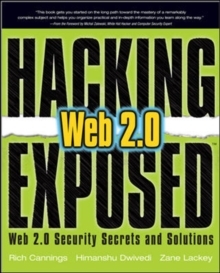 Safeguards against viruses, worms, malware, and buffer overflow exploits are also covered in this comprehensive resource. Design highly isolated, secure, and authenticated mobile applicationsUse the Google Android emulator, debugger, and third-party security toolsConfigure Apple iPhone APIs to prevent overflow and SQL injection attacksEmploy private and public key cryptography on Windows Mobile devicesEnforce fine-grained security policies using the BlackBerry Enterprise ServerPlug holes in Java Mobile Edition, SymbianOS, and WebOS applicationsTest for XSS, CSRF, HTTP redirects, and phishing attacks on WAP/Mobile HTML applicationsIdentify and eliminate threats from Bluetooth, SMS, and GPS servicesHimanshu Dwivedi is a co-founder of iSEC Partners (www.isecpartners.com), an information security firm specializing in application security. Chris Clark is a principal security consultant with iSEC Partners. 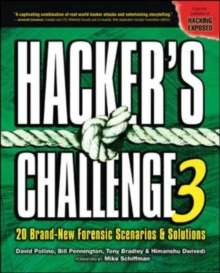 David Thiel is a principal security consultant with iSEC Partners.